Continuing with our holiday home gift guide series, today we focus on that person on your list who insists on using Instagram solely for sharing what he/she eats. It’s the Food Network obsessed, Gordon Ramsey loving foodie. 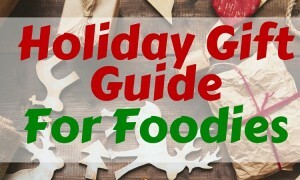 Continuing with our holiday home gift guide series, today we focus on that person on your list who insists on using Instagram solely for sharing what he/she eats. It’s the Food Network obsessed, Gordon Ramsey loving, Iron Chef dreaming foodie. Instead of giving them restaurant gift certificates, help them turn their home into the foodie layer that wafts comfort into the air of their food focused space. For the foodie, every ingredient must be perfect. Nothing tastes better than an exquisitely prepared meal. 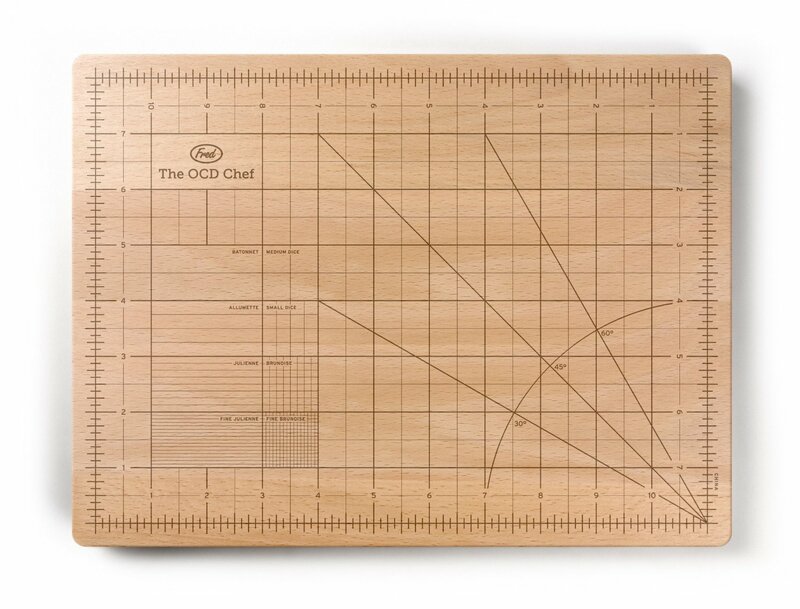 This cutting board makes sure every slice, dice and cut is perfection with details on using the correct angles and measurements. Available on Amazon.com for $30. Who wants to go to Starbucks? Me! 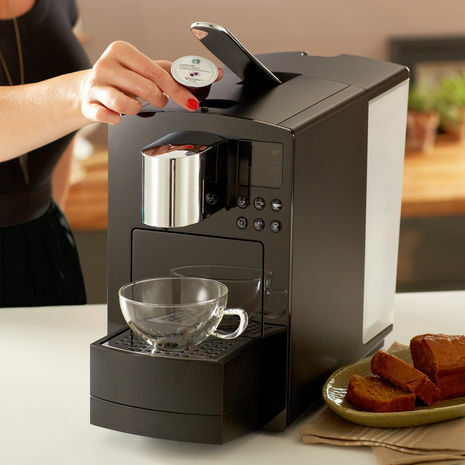 Who wants to have their very own barista on their kitchen counter? Everybody. Instead of standing in line behind the 13-year old girl who’s order is longer than her last book report, let that foodie on your list enjoy the luxury of brewing their froo-froo (yes, that’s a techincal term) drinks in the comfort of their home kitchen. Available from Starbucks for $399. Ice cream is a simple pleasure. But it’s not so simple when trying to get it out of the frozen container requires a feat of strength. 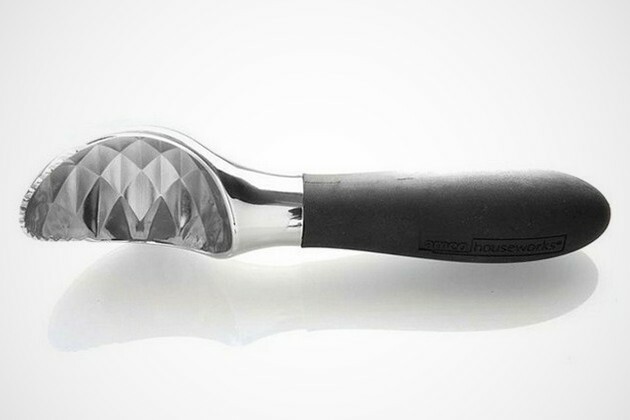 Let the foodie on your list scoop with ease by giving them a serrated ice cream scoop. Available at Bonjour Life for $10. Nothing says a holiday party at home like deep fried food. Am I right? Of course I am. 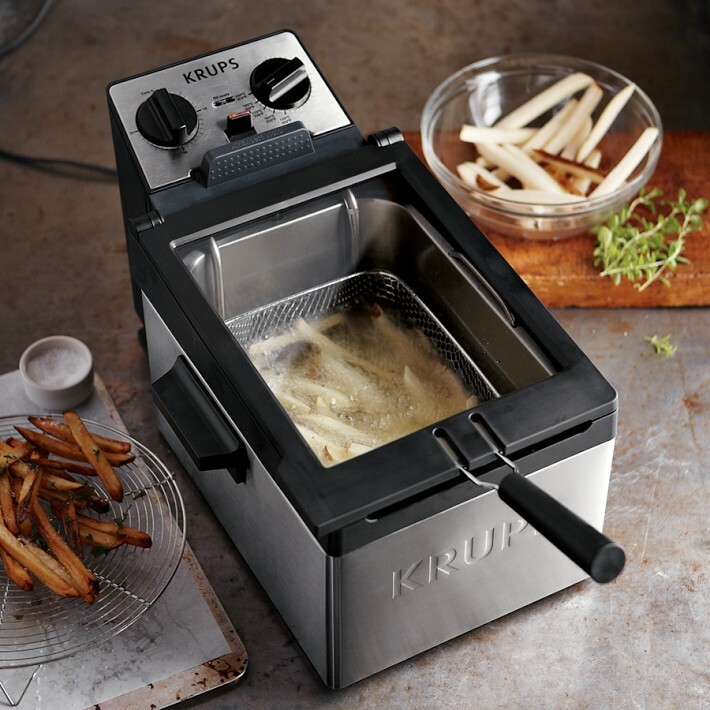 Let your favorite foodie fry you up some deliciously unhealthy treats with this counter top deep fryer from Krups. I’m thinking you know what home you’ll be going to for the Super Bowl. 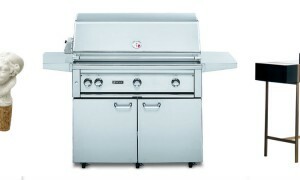 Available from William Sonoma for $299. A great backyard makes for an even better home. But there’s no kitchen back there, so what’s a foodie to do when he’s planned an outdoor fiesta? Bam! 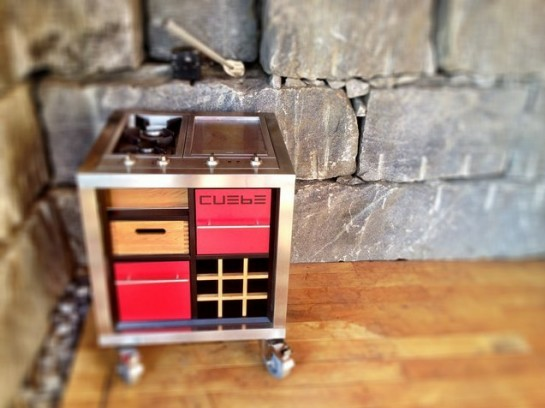 Give them a Cuebe Outdoor Kitchen and let them work their mealtime magic in the stellar sun or under the stars. Custom orders can be made from The Cuebe website.